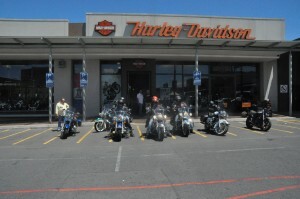 Harley-Davidson Tyger Valley opened for trade in early August 2007, situated at Willowbridge Lifestyle Centre in Tyger Valley in the Western Cape. ualified mechanics ready to service and help with technical advice on all Harley-Davidson and Buell models. The motor clothing section is stocked with fashion items such as lingerie, baby and children’s wear, a large selection of both ladies and men’s T’s and a wide range of boots, thus appealing to not only owners of Harley-Davidsons but also to the general public. The parts and accessory division is conveniently located in the dealership for clients to select from a wide range of custom accessories for their bikes. With the inviting aroma of freshly brewed coffee and a comfortable lounge , owners of Buell and Harley-Davidson motorcycles, their family, friends and potential owners are encouraged to spend time to shop at their leisure or admire the awesome machine that is Harley-Davidson. We at American Motorcycle Rentals are a team of enthusiastic motorcyclists . We offer rental bikes, self-guided and guided tours in many parts of the world. We offer the most scenic routes in the United States, Canada, South Africa, Philippines and Europe. Our experienced guides know the roads and attractions by heart. Sheldon Steil was born and raised in rural Alberta. He is happily married to his wife Noreen of 35 years. They operate an Advertising Business together and Noreen operates a Financial Institution in small town Alberta. 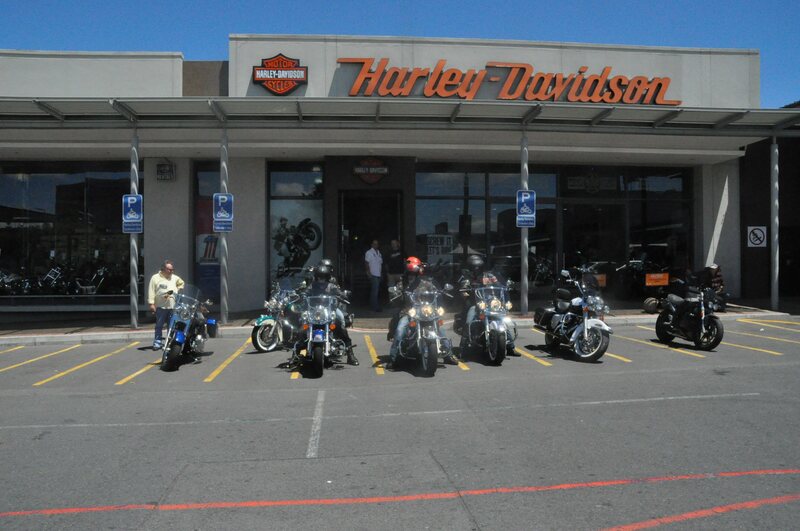 With over 35 years of riding experience he enjoys touring with his Ultra Classic every chance he gets. His outgoing personality and his friendly and personal approach is a great fit for this quest which he has chosen to pursue. Therefore these lifelong dreams of touring guests throughout the Canadian Rockies come natural. Sheldon shares a great knowledge of the regions back roads and those unique stops unknown to most. He makes sure that safety is number one and that his guests enjoy and arrive at their destination each day and sends them home as lifelong friends. Garth McDonald has been riding motorcycles for over 40 years and still loves the twisty roads in Alberta, B.C. and the USA. He became a riding instructor with the Alberta Safety Council in 2009 and spent most of his training days teaching new riders in the “Gearing Up” program how to handle their motorcycle with confidence. Garth has done a lot of traveling through work. He began his working career at Canadian National Railway at age 17 and worked his way from a welder’s helper to Western Canadian Rail Maintenance officer over the next 19 years, where he happily retired from CN in 1999. For the most part, his time was spent traveling through Western Canada from Thunder Bay, Ontario to the West Coast of British Columbia, within the engineering department of CN Rail. Throughout his journeys, Garth saw many of the great roadways this country has to offer and sampled some of the tastiest food at hidden gem restaurants along the way. Garth loves people and telling stories about where he’s worked and traveled. With his knowledge and experience of many of the areas you will be riding through, Garth is bound to recall a few stories about each one. When Garth isn’t riding through the mountain roads of Alberta, B.C. and the USA, you can find him coaching business owners and helping them grow their enterprise by implementing simple systems. Garth looks forward to getting to know you on your next trip with Ridin’ With Style! Sheldon and Garth share a passion for quality and adventure not found with larger tour companies. Their mission will be not to focus on business but have a personable aspect to a rewarding experience for you. They are the owners and the guides who challenge themselves into making a memorable rewarding trip for their guests. Rumadáni started out life as the Cape Town branch of sister company Rumádili. In February 2006 the Cape Town branch became independent and was renamed Rumadáni after its owner, Danie Maree. The first vehicle in the new Rumadáni fleet was a 2001 VW Passat 1.8T, followed soon after by a Mercedes Vito and two new Toyota Quantums. More vehicles were added to the fleet over time. Rumadani caters for a wide variety of transportation needs, including airport transfers, self-drive rentals of minibuses, minibus with driver and coach rentals (driver included). The original company and now sister company Rumádili was founded in 2001 by Ruben and Marita Koen as a part-time family business. The name Rumádili (pronounced Ru-mah-de-li) was made up from the names of the members of the founder family. RU – Ruben and Ruben jnr, MA – Marita, DI – Diane (eldest daughter) and LI – Lize-Mari (younger daughter). Rumádili started off with only one VW Microbus, but due to excellent service and personal care, the part-time business soon grew into a full-time business with a fleet of 20 vehicles and 5 luxury coaches. Business interests also expanded to Cape Town and Danie Maree opened a Rumádili branch in Cape Town in 2003. In February 2006 the Cape Town branch became independent and was renamed Rumadáni.